For most newspapers, the topic of high school sports is always a big win with the community. People are passionate about their local teams, and you're already doing a ton of sports coverage around them. But Sauk Valley Media wanted to get the community involved at an even deeper level with its prep sports coverage. Based on what the team at Shaw Media had seen work for other markets, Sauk Valley Media created a two-fold plan. 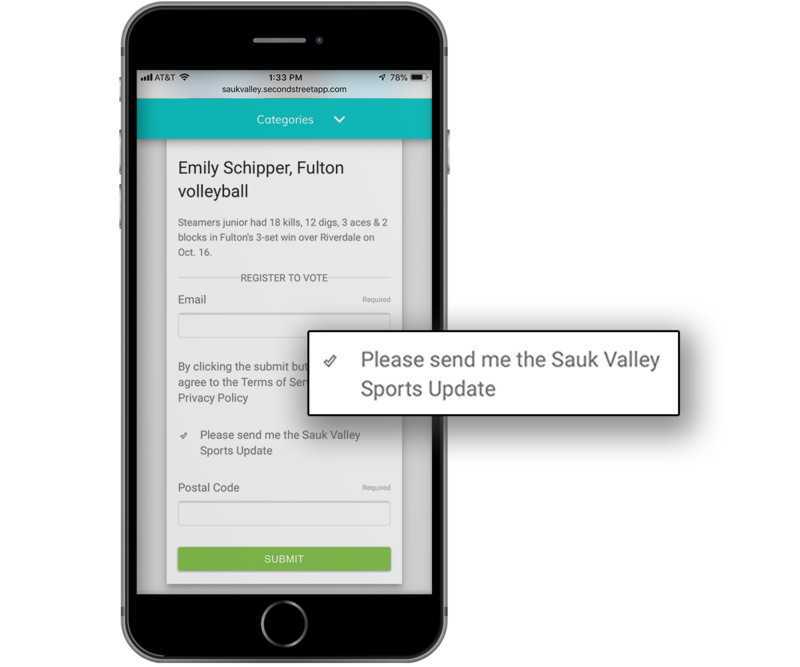 The staff started with an Athlete of the Week ballot and used this promotion as a way to help launch a brand new email newsletter – the Sauk Valley Sports Update. Sauk Valley Media already offers a lot of high school prep coverage for readers. 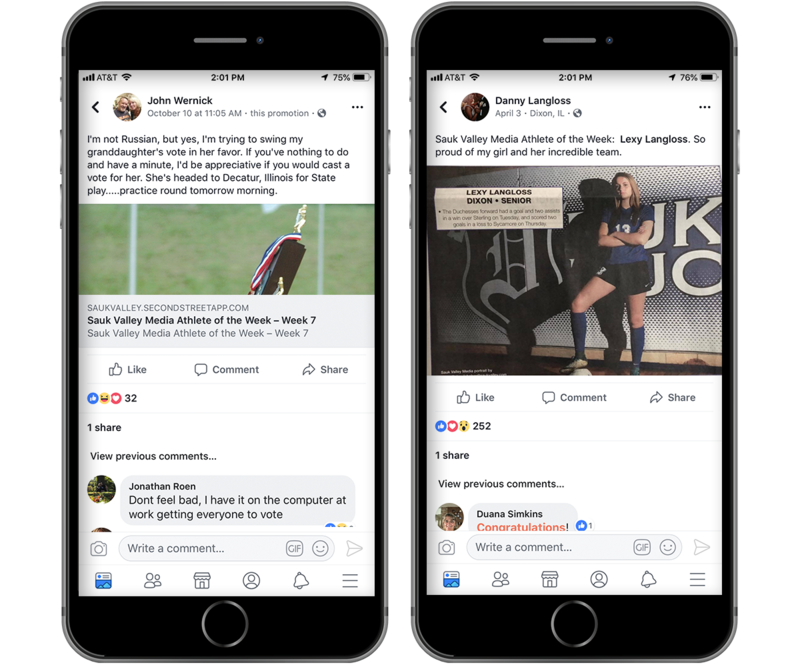 With multiple high schools in the community, its readers are invested in reading about the wins and news of the athletes at their favorite schools. An Athlete of the Week ballot would allow the team at the paper to tap into the passion of its readers and offer readers the opportunity to have a stronger role in the content the paper is producing. By giving readers a chance to weigh-in on their favorites, their paper would get insight into which stories to publish, and the readers would be even more invested in the content from the paper. Once they were decided on the ballot, the team at the paper determined the logistics for setting it up. They planned to award both a top female and top male athlete each week. At the start of each week, a team from the paper would submit three or four nominees for fans to vote on. But they didn't want to just stop at the ballot. The other part of their plan was to ensure their readers were getting the high school prep coverage they most wanted – delivered directly to their email inbox. So in partnership with the ballot, Sauk Valley Media kicked off an entire newsletter dedicated to local high school sports. Each week, the Sauk Valley Sports Update sends subscribers the top local sports content – influenced by the results of the Athlete of the Week ballot whenever possible. 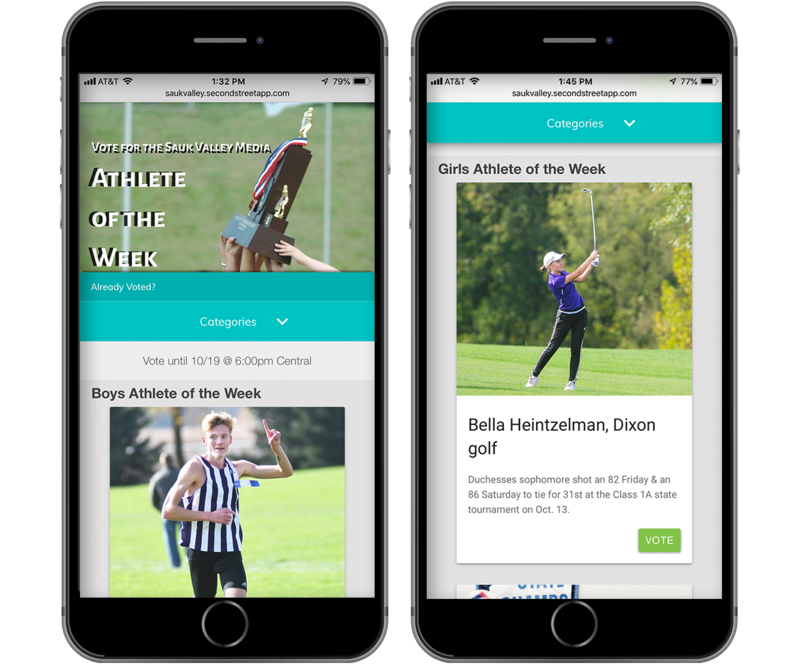 To grow this newsletter and curate the audience, the staff simply added an opt-in to the Athlete of the Week ballot registration form. They figured that the same people who were entered in the ballot would likely also be interested in the newsletter. When they started the ballot and newsletter, Sauk Valley Media wanted to include every sport happening right now, giving equal opportunity to the star volleyball player as the star quarterback to win Athlete of the Week. The paper recognized there was a huge number of high school athletes and families left out of the sole high school football category. The Athlete of the Week ballot was an immediate hit with Sauk Valley Media readers. The first week landed over 1,100 votes and each subsequent week landed almost as much, if not more votes. The email newsletter took off like wildfire. The Sauk Valley Sports Update started with only 100 opt-ins, and quickly grew to over 3,000 after just seven weeks of running the Athlete of the Week ballot. This made it the largest gain in newsletter subscriptions across all Shaw properties in 2018.